Different dog breeds have different temperaments, which is partly why dog-lovers are sometimes partial to one breed over others. But not all seemingly unique breed behaviors are actually breed-specific, specifically aggression. A recent study indicates that dog owners' behavior -- not the dog's breed -- could be key to predicting whether or not a dog will be aggressive. 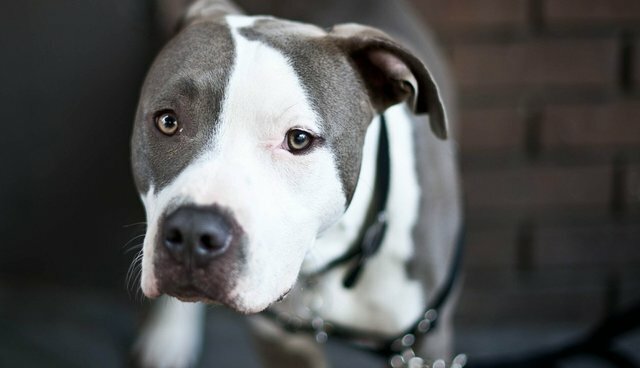 The research could be one more nail in the coffin of breed-specific legislation, which unduly discriminates against certain breeds based on the assumption that they are inherently dangerous. According to the study, the type of training an owner uses plays a larger role in how their dog will interact with humans -- strangers and family members alike -- than the breed. Attending puppy classes was shown to reduce the risk of aggression to unfamiliar people, while training methods that used punishment or aversives increased the chance of aggression to, well, everyone. Additionally, dogs with owners over age 40 were two times less likely to have aggression issues than those with owners under age 25. Ultimately, the researchers conclude that training dogs early -- preferably using positive reinforcement methods -- can decrease the likelihood that the dog will become aggressive, despite what rumors might suggest about the breed. While it might make sense to generalize about some canine behavioral tendencies, they say, it would be wrong to assume that an individual dog will be aggressive simply because of its breed.